• The methane gas produced is a source of usable energy. In most cases the energy produced exceeds the energy required to maintain the temperature for sludge digestion. Excess methane can be used for heating buildings, running engines for aeration blowers, or generating electricity. • Reduction in total sludge mass through the conversion of organic matter primarily to methane, carbon dioxide, and water. 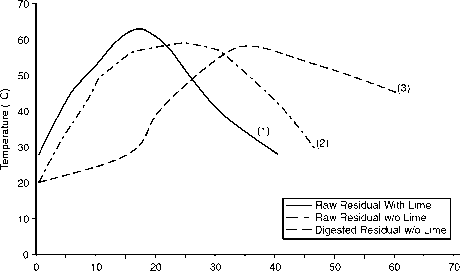 Commonly, 30 to 65% of the raw sludge solids are destroyed. This can significantly reduce the cost of sludge disposal. 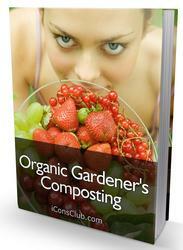 • The digested solids are generally free of objectionable odors. • The digested biosolids contain nutrients such as nitrogen and phosphorus, and organic matter that can improve the fertility and texture of soils. • A high rate of pathogen distribution can be achieved, especially with the thermophilic digestion process. • The capital cost is high because large closed digestion tanks fitted with systems for feeding, heating, and mixing the sludge are required. • Large reactors are required to provide the hydraulic detention time in excess of 10 days to stabilize the sludge effectively. This slow digestion process also limits the speed with which the system can adjust to changes in waste loads, temperature, and other environmental conditions. • Microorganisms involved in anaerobic digestion are sensitive to small changes in the environment. Therefore, the process is susceptible to upsets. Monitoring of performance, and close process control are required to prevent upsets. • The process produces a poor-quality sidestream. Supernatants often have a high oxygen demand and a high concentration of suspended solids, nitrogen, and phosphorus. These flows may require additional treatment before recycling to the influent flows in plants that are required to remove nitrogen and phosphorus from the wastewater.